John Howard, Touchstones: Essays on the Fantastic. Alchemy Press, 2014. Pp. 294. ISBN 978-0-9573489-7-4. £11.00. This troublesome f-word. It appears out of the blue to startle or outrage. It conforms to no norms, pushing and shoving among respectable authors of equally respectable literature. It chews a gum of literary conventions to utter a loud ‘pop’ when a balloon of high literary ideas breaks to be rechewed again. This is the fantastic in all its insolent beauty. The case of John Howard’s collection of essays, one may say, is all the more insulting, concentrating on revolving around the writers whose prose fits into such gutter-born genres as horror, science fiction and fantasy in the stages some might classify as evolving or cult. Probing the darker corners of literature seems hardly surprising since Touchstones: Essays on the Fantastic was released by The Alchemy Press, an award-winning independent publisher well-known for its fantastic proclivities. 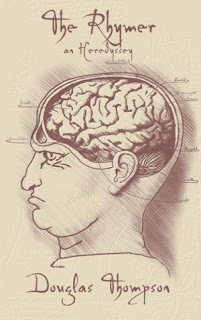 More so, the prevalence of horror and the weird among a caboodle of twenty-two texts is detectable, without the need of using the services of a professional medium. 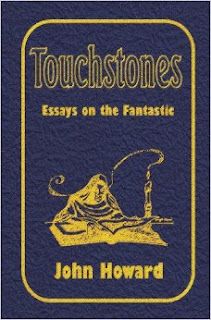 John Howard’s scholarly interests in the fantastic resulted in a peculiar combination that acquaints a reader with the works of the famous writers who are paragons of fantastic fiction, as well as those whose brilliant texts dissolved in the mist of other literary works. A mixture of the known, unknown and some eerie novelties is inviting, unearthing the talents long buried in the thick soil of 20th century fantastic literature. V. E. Wilchcombe, Neob. Austin Macauley Publishers, 2015. Pp. 146. ISBN 978-1-78455-052-3. £6.99. 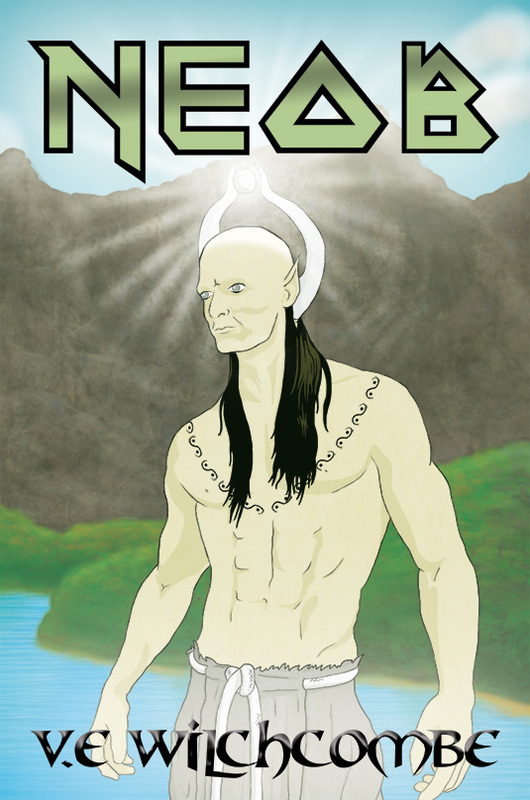 Neob is a fantasy/science-fiction novel by V. E. Wilchcombe, published by Austin Macauley, a small independent publisher based in London. 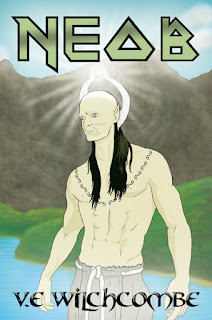 This is the first of an envisaged suite of novels set in the same universe, and very much reads as an introduction to the distant planet Neob, its native inhabitants and its other-worldly interlopers. This is not to say that the novel lacks for action—a remarkable amount of activity is packed into its brief length of 146 pages. However, such brevity is the book’s main downfall, as few of the ideas bursting out of this book are given much room to breathe, sometimes making for a disappointingly shallow read. Douglas Thompson, The Rhymer: an Heredyssey. Elsewhen Press, 2014. Pp. 192. ISBN 978-1-9081-6841-2. £9.99 pb/ £2.99 e.
The Rhymer is the eighth novel by Scottish weird and speculative author and editor Douglas Thompson, published by British small press Elsewhen. This novel is one of the more surreal and absurdist tales Thompson has written, parts of which were previously published in serial or standalone form in other fantastic magazines. It is entirely written in a style somewhere between free-association, free-verse, and comic semi-rhyme, which sounds like it would be hard to read, but actually isn’t, although the story does veer wildly and apparently out of control between satire, grotesque, bizarre, mystical and pseudo-scientific allegory. While I felt this novel sometimes sacrifices plot continuity and character consistency in name of moving the story forwards, it is a bit hard to tell to what degree this is the result of lazy writing, and how much a symptom of the rapidly changing realities in the story itself. I confess to not particularly liking any of the characters, or indeed the narrative voice, but I did find it pleasant to read, challenging in the way that literature should be, and sometimes startlingly original. 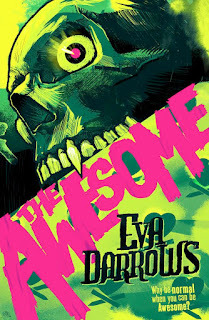 Eva Darrows, The Awesome. Ravenstone Press, 2015. Pp. 246. ISBN 978-1-78108-324-6. $9.99. The Awesome is the sort of profoundly, well, awesome book that makes me resent the fact that the great YA renaissance is taking place while I’m in my thirties. When I was an actual teenager, lo many moons ago, the sort of YA heroines I got were girls who either a) babysat (blah), b) solved mysteries (meh), c) or were dying tragically of cancer (UGH). Eventually I discovered the classic SFF juveniles by Robert Heinlein, Anne McCaffrey, and others, but I’ve been rereading some of them recently, and they are often unforgivably rapey as well as retro. 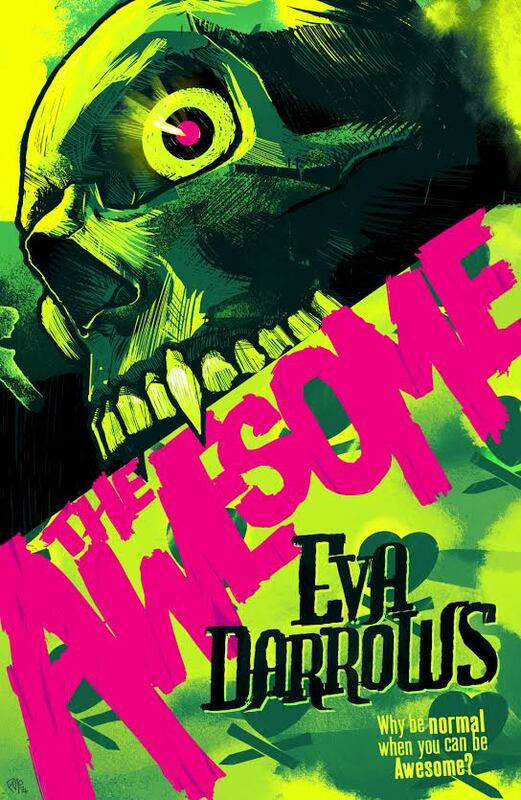 Eva Darrows’ The Awesome, on the other hand, features a heroine I would have given anything to read (and more to just be) when I was fifteen: Maggie Cunningham is a hunter of supernatural creatures under her mother’s tutelage, dispatching monsters by day and night while not-really working on her GED. She’s snarky and badass, and utterly without the sort of girlish polish that Buffy the Vampire Slayer was always gifted with. She wears jeans and combat boots and sweatshirts, finds normal people and boys bewildering, and is consumed with a singular goal: to lose her virginity so that she can finally become a journeyman hunter.